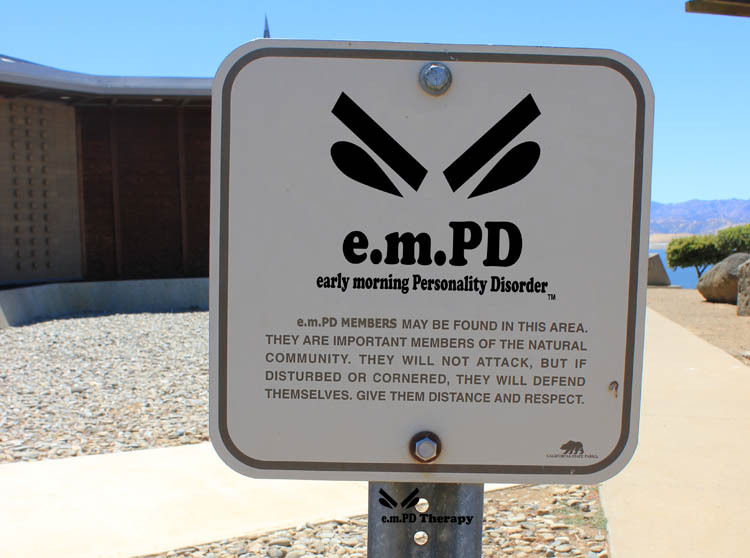 As I continue my research with early morning Personality Disorder, or e.m.PD, I have found that members of the group tend to report, and exhibit, several fairly common characteristics. I have compiled these characteristic behaviors into a list of signs that can be used to validate the presence of e.m.PD. Feel free to use this resource as a tool to determine whether you, or someone you know, might have e.m.PD. 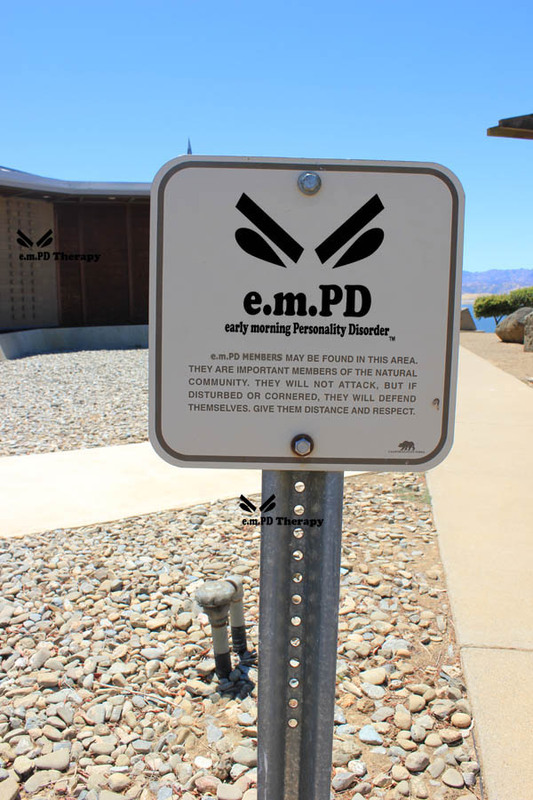 If 3 or more of the warning signs on this list apply to you, you may have e.m.PD. on waking in the morning, you lie in bed and pretend to be asleep for as long as possible to avoid conversation with your significant other. your clock is set 20 minutes ahead of reality, and you pretend you don’t know so that you can have a little “me” time before facing your day. you spend an extra 10 minutes in the shower just to get your personality adjusted. the best part of your morning is NOON. you use the back door at work to avoid conversations with co-workers. your family leaves a caffeine offering on the counter and disappears. you have been known to snarl, hiss, and/or growl before you have your morning coffee. any conversations that occur prior to your first cup of coffee require a disclaimer. your subconscious response to a cheery “Good Morning!” is a withering scowl. you prefer seeing the sunrise at the end of your day. caffeine in large doses is a pre-requisite to morning conversation. you require a “personality adjustment” prior to engaging in social interactions occurring before 10:00 a.m.
your friends and family frequently compare your morning disposition to Dr. Jekyll and Mr. Hyde. you feel a need to indulge in “chocolate therapy” prior to early morning social interactions. forgetting your Personality Spray™ leads to some tense social situations. the thought of engaging in social interactions before your coffee kicks in causes noticeable facial tics. you find the idea of waking up at six-thirty in the morning morally reprehensible. you barricade yourself in your office until you have time to get your personality adjusted. you consistently schedule events that require social interaction to begin after 10:00 a.m.
you would rather BE up at 5:00 a.m. than to WAKE up at 5:00 a.m.
you’re secretly working on a plot to take over the world and banish all morning types to the Emerald City – without shiny shoes.